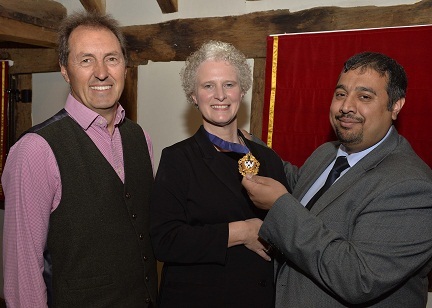 From Left: Robin Hooper of Hooper Burrowes (new Vice President), Sallie-Anne, and Praveen Chaudhari of Lanyon Bowdler (Retiring President). A Shrewsbury solicitor has been appointed as the new president of the Shropshire Law Society. Sallie-Anne O’Byrne, who is the head of the family department at Shrewsbury firm Wace Morgan Solicitors, took over the reins from Praveen Chaudhari. The society, which was founded over 135 years ago, represents solicitors across Shropshire. Mrs O’Byrne said: “The Shropshire Law Society promotes the values of professionalism, honesty and integrity amongst its many members throughout the county. She oversees the large family department at Wace Morgan, which has recently moved to larger offices in St Mary’s Street and is one of Shrewsbury’s longest-established legal companies. Praveen Chaudhari of Lanyon Bowdler commented: “It has been a good year for the Shropshire Law Society and a busy year for the profession as a whole.